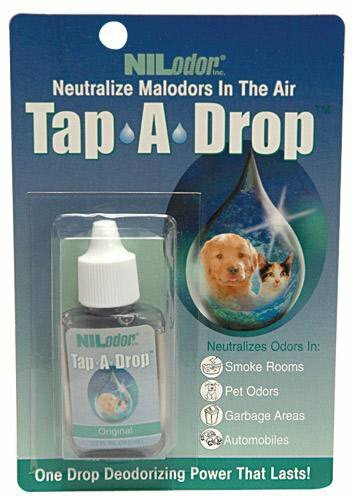 Drop out unpleasant pet & household odors instantly with this exclusive Nilodor formula containing 100% active original Nilodor Concentrate. Just 1 drop neutralizes odor sources in a 1000 cubic foot area & keeps working to eliminate odors for up to 24 hours. Do not apply directly to plastic, rubber or painted surfaces.